Your local Patchogue handyman Company for all your power washing needs, and more. For a safe and precise power wash necessary to remove dirt, mildew, paint, or other debris from a variety of household surfaces, Brower and Sons is there for you. We provide that detailed cleaning you expect with professional cleaning services. 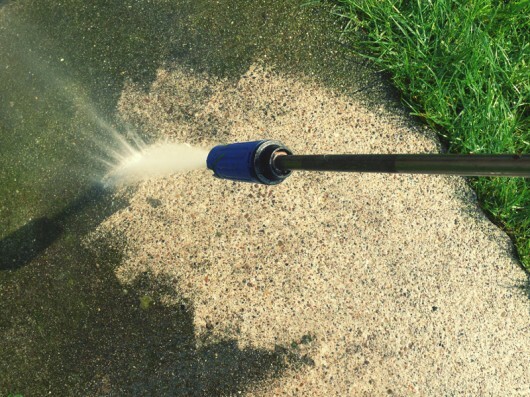 For a deep down clean that only comes with industrial strength pressure washing, call us – we offer FREE estimates! We are well equipped and use modern power washing equipment for professional grade Power Washing services for Patchogue, New York. Do you need to find a reliable licensed exterior power washing company? We will provide a FREE estimate and we will come to you, and give you a diagnosis of what needs to be done at the best possible price. As a Licensed Patchogue Power Washing Company we are your local handyman company, a company which is family owned and operated whose team of trained cleaning professionals will take care of any maintenance and cleaning job you might have. Call us for a FREE estimate, and let us take care of your needs, we service homeowners and businesses in Patchogue and all over Suffolk County Long Island. For MONEY SAVING coupons for our Patchogue power washing, gutter cleaning, chimney cleaning, window washing and repairs click below.